Water poured into every available orifice, and the chlorine made my nose burn and eyes water. My second session was equally memorable. By the third and fourth sessions I was starting to get the hang of the motions of the front crawl — stroke, breathe, stroke, breathe, repeat. I watched some video lessons on YouTube and read some articles. Within a month I was able to complete a full swim workout. Toward the middle of summer, I finally talked myself into trying an open water swim session. Despite growing up in the somewhat coast region of Houston, I had never done more than boogie board in the water, and the concept of actually swimming in the ocean was foreign. The water in Galveston is meant more to be viewed from afar and admired for its existence rather than enjoyed. But after a year of living in Los Angeles, I knew that I couldn’t keep putting off the dreaded open water swim. If swimming in a pool is the running equivalent to running on a treadmill, then swimming in the ocean is akin to running on foot into rush hour traffic on a busy freeway. It’s overwhelming. There are waves and creatures and sand and sky and all the while the icky, icky taste of saltwater catching in your throat. On top of that, you swim, but not the same leisurely swim of the pool. Instead, the ocean shows you who’s boss — tossing your tiny body like a piece of flotsam. If you want to swim, you have to fight for the chance. I didn’t get very far in ocean swimming that first summer. A few solo trips a hundred yards off shore and back. I even tried out a session with the well known Tower 26 swim group on an overcast Wednesday morning. It didn’t work out. I’ll spare the gory details but I didn’t even last through the warm up. The coach gave me some words of advice and I told him that I looked forward to working out with them the following year. 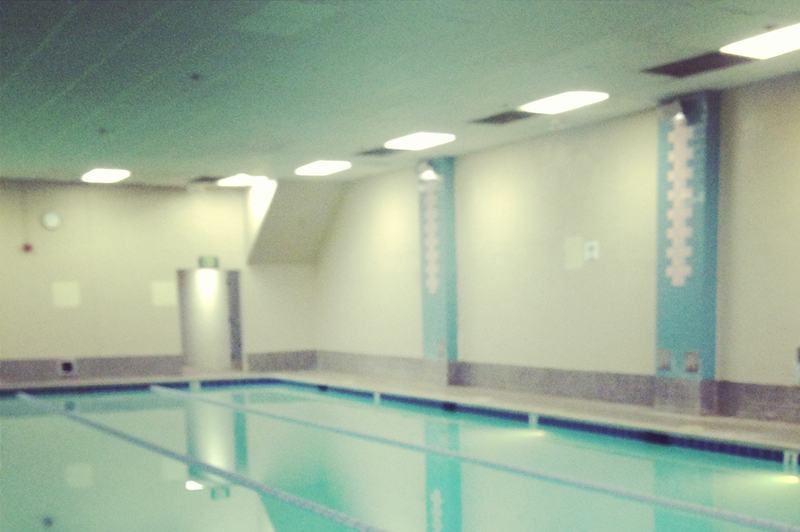 Swimming has been my longest journey of the three sports, but definitely the most rewarding. It’s interesting to think that when the idea of triathlons first popped into my head 2 years ago, I would have eagerly opted for any kind of bike/run event as long as I didn’t have to swim. Now it’s my strongest sport.